Polymer clay is a malleable medium that is ‘cured’ in a domestic oven. 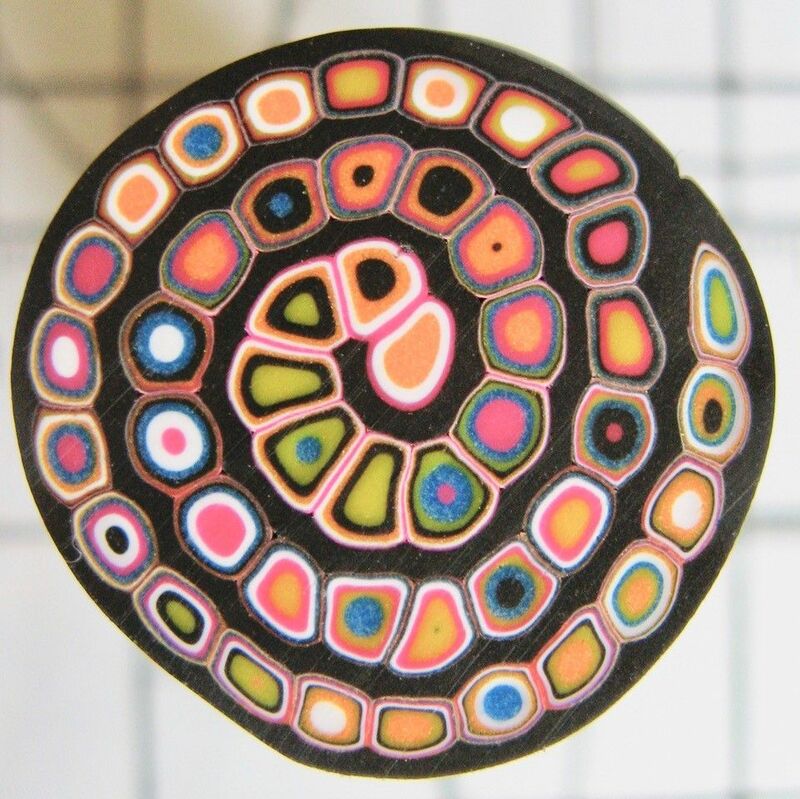 Using an extruder (a simple hand tool that pushes clay out through different shape disks or dyes) we will take multiple colours plus black to create a spiral pattern that appears to be almost impossible to create but in fact uses a simple technique. The resulting ‘cane’ (like a piece of seaside rock with the pattern running through it) is sliced and applied to various shapes to create beads, buttons, brooches and more for you to take home.